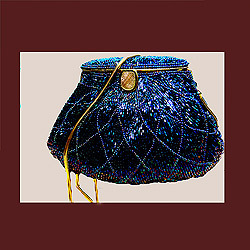 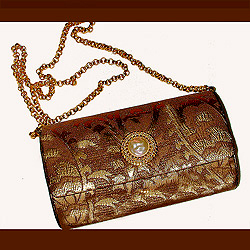 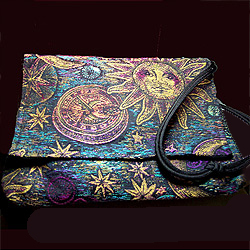 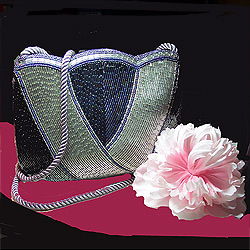 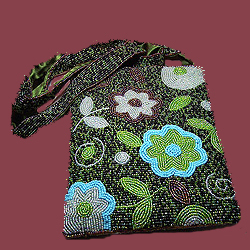 Stunning beaded floral evening shoulder bag. 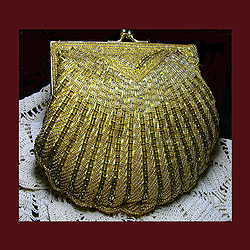 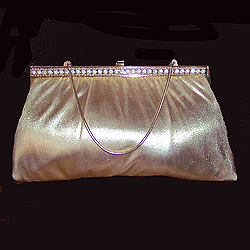 Vintage lovely gold clutch evening bag with exquisite rhinestones. 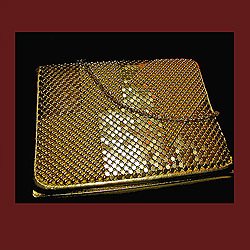 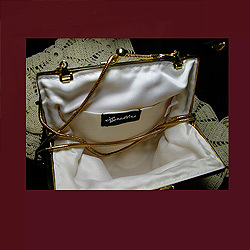 Stamped HL U.S.A. vintage gold clutch evening bag with exquisite rhinestones. 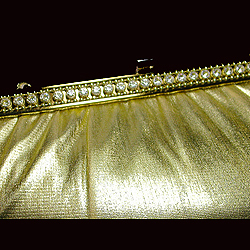 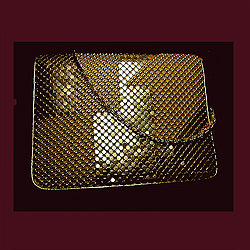 Stamped HL U.S.A.
Photo 2: Beautiful vintage gold clutch evening bag with exquisite rhinestones. 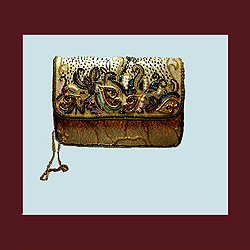 Stamped HL U.S.A.